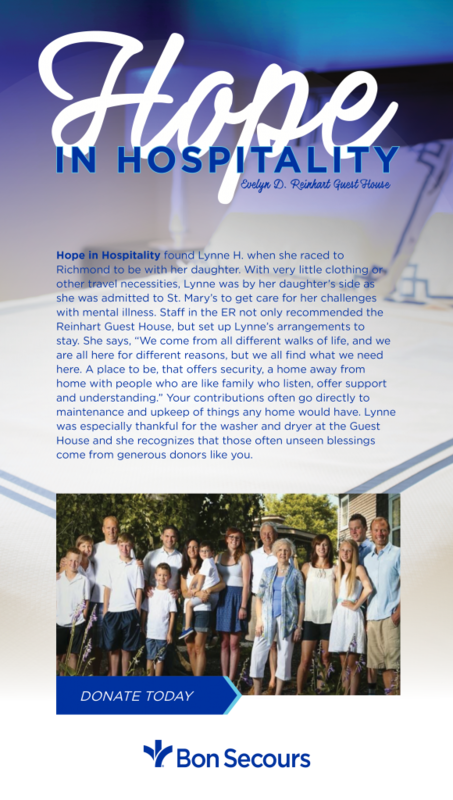 We are very proud to share our four beautiful stories that illustrate the great purpose of our ministry and the critical importance of keeping families close. 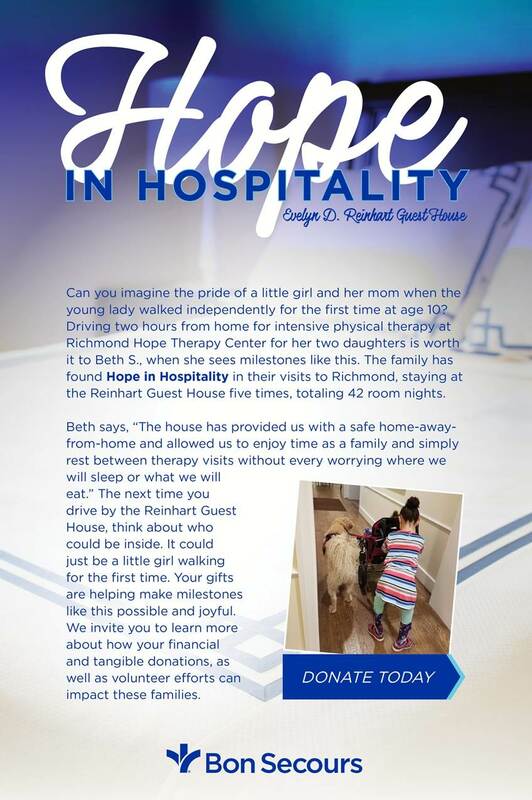 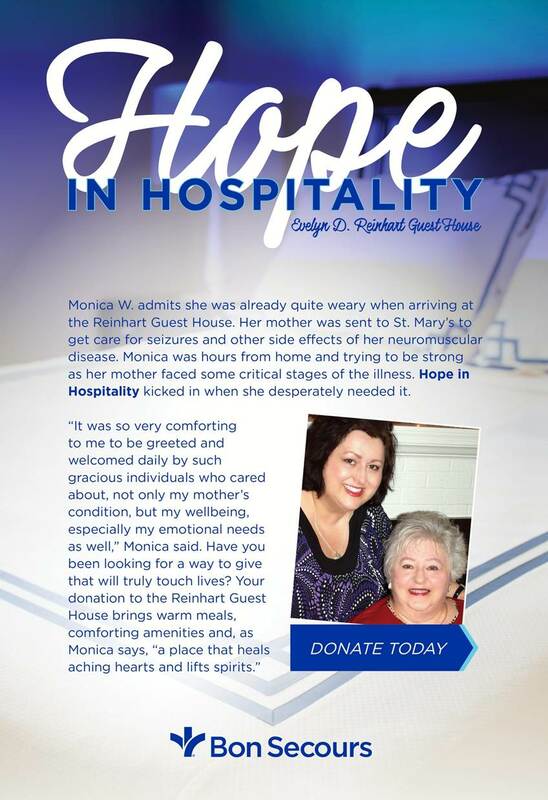 There is hope in hospitality at the Reinhart Guest House. 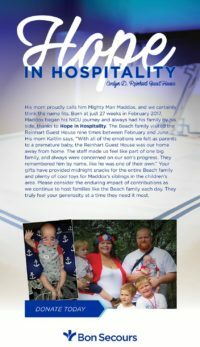 Take a moment to read, share, and support! 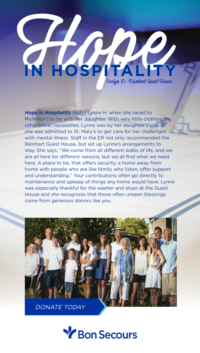 The Evelyn D. Reinhart Guest House mission is one with the Bon Secours Health System as far as bringing compassion to health care and to be good help to those in need. We will provide supportive and comfortable accommodations to our families that will effectively promote health and wholeness in an environment that feels like home.